Trenton, a friendly reader of this blog, sent me a link to an intriguing post on the Vancouver Craigslist site about a custom modern dollhouse company called Erina Homes. 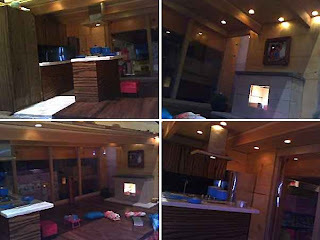 The above grainy picture is all that we have to go on for what this company sells for $1,500 (or best offer). Anyone out there know more about this company and the quality of their structures?